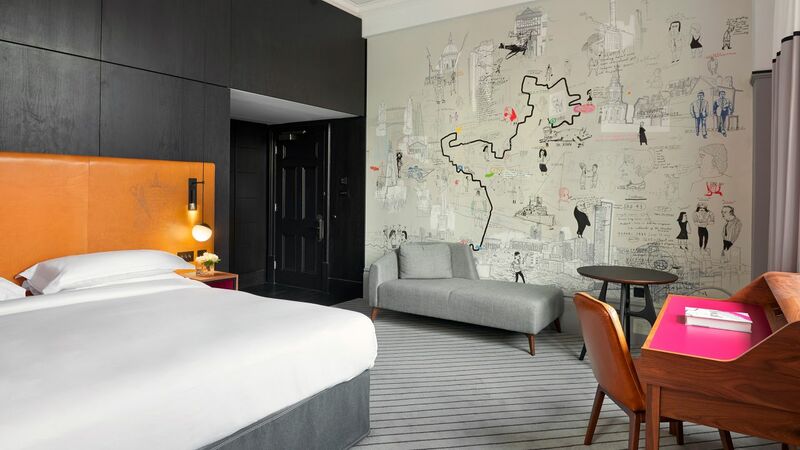 Capturing the hotel’s location, history and heritage, our refurbished rooms aim to be creative spaces where the traditional City meets the ever-evolving, vibrant artistic vibe of East London. 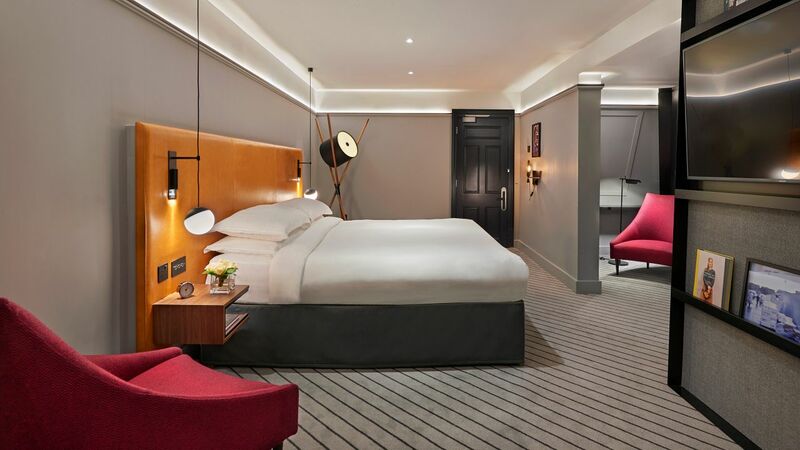 All of our rooms feature a Nespresso™ coffee machine, complimentary mini bar and Wi-Fi, a smart TV, luxurious Yukata robes and bath amenities from British skincare brand REN. 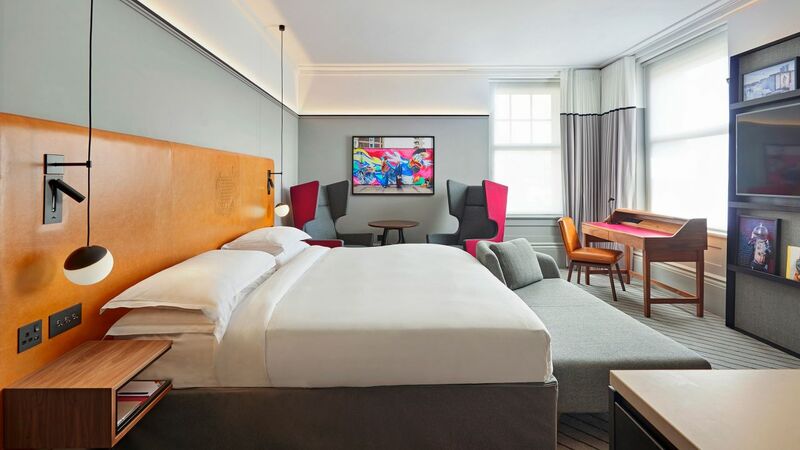 The ultimate in luxury, some of our 52 to 69-square-metre suites include separate bedroom with king bed and lounge space with work area. These are premium suites. See World of Hyatt program terms for upgrade eligibility. 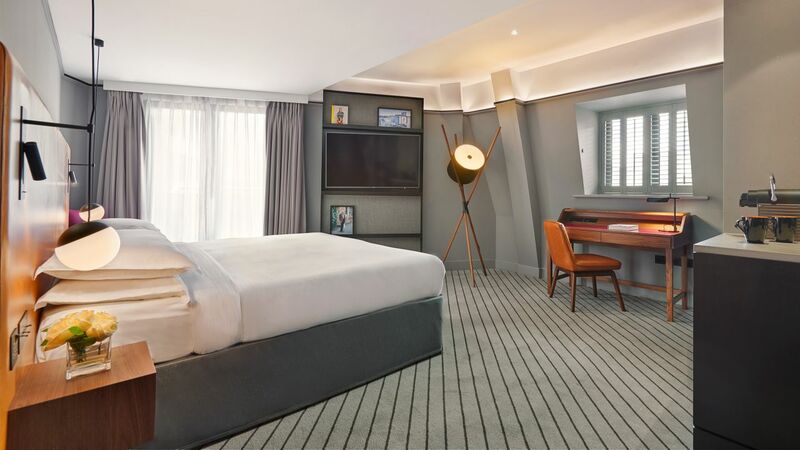 Perfect for entertaining, our 49-square-metre suites feature a plush, king bed and cosy lounge area. These are standard suites. See World of Hyatt program terms for upgrade eligibility. 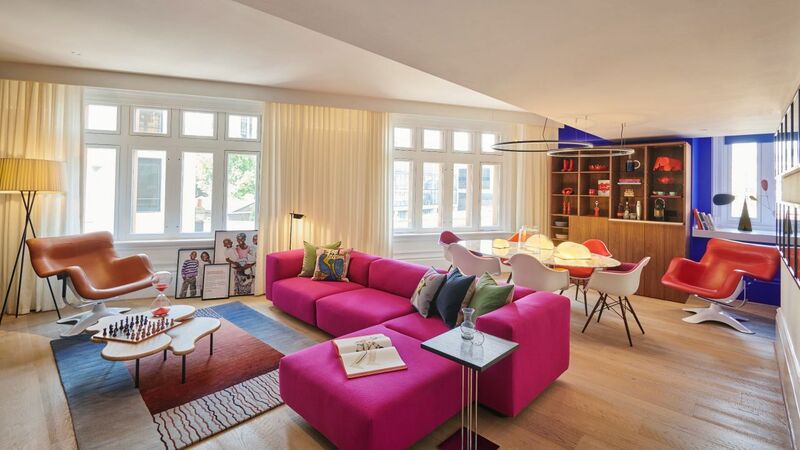 This 80-square-metre suite by British designer Sir Terence Conran features interiors inspired by East London, including one king bedroom, a lounge space, and more. Thirty percent of the nightly room rate will be donated to (RED)’s fight against AIDS. There’s ample space to unwind in this 33-square-metre room with separate sitting area, a plush, king bed and spacious bathroom. 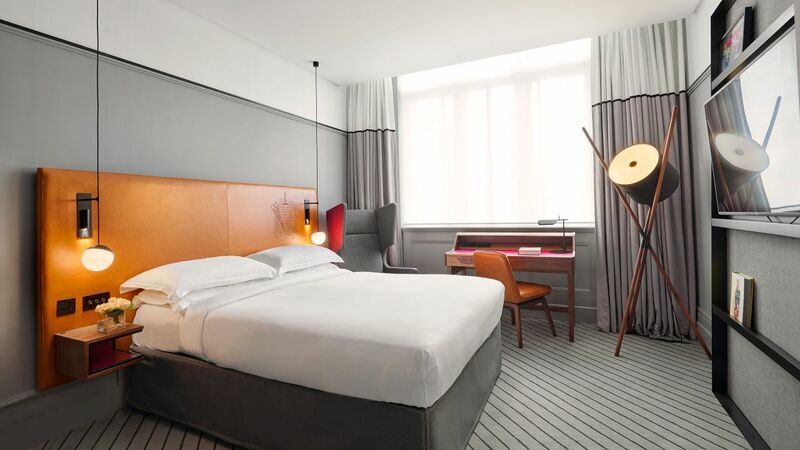 Go on, stretch out a little more in our 29-square-metre room, featuring a king bed, reading chair and oversized work space. 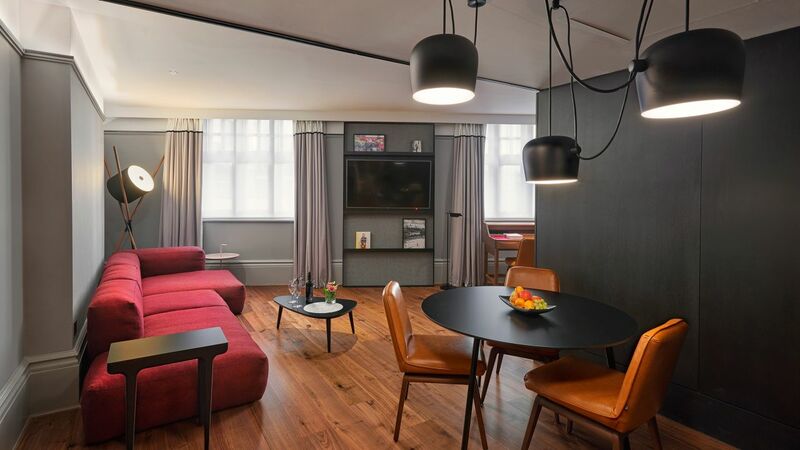 East London is at your doorstep in this 26-square-metre room with a plush, queen bed and comfortable work space. 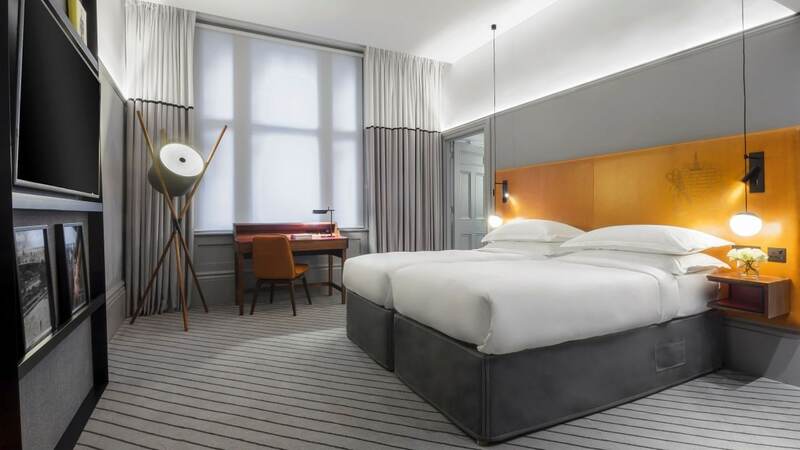 Go on, stretch out a little more in our 29-square-metre room, featuring two European single beds, reading chair and oversized work space.